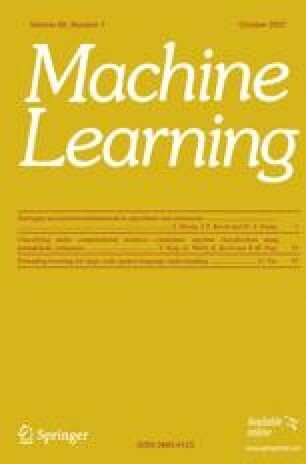 In many online applications of machine learning, the computational resources available for classification will vary from time to time. Most techniques are designed to operate within the constraints of the minimum expected resources and fail to utilize further resources when they are available. We propose a novel anytime classification algorithm, anytime averaged probabilistic estimators (AAPE), which is capable of delivering strong prediction accuracy with little CPU time and utilizing additional CPU time to increase classification accuracy. The idea is to run an ordered sequence of very efficient Bayesian probabilistic estimators (single improvement steps) until classification time runs out. Theoretical studies and empirical validations reveal that by properly identifying, ordering, invoking and ensembling single improvement steps, AAPE is able to accomplish accurate classification whenever it is interrupted. It is also able to output class probability estimates beyond simple 0/1-loss classifications, as well as adeptly handle incremental learning.